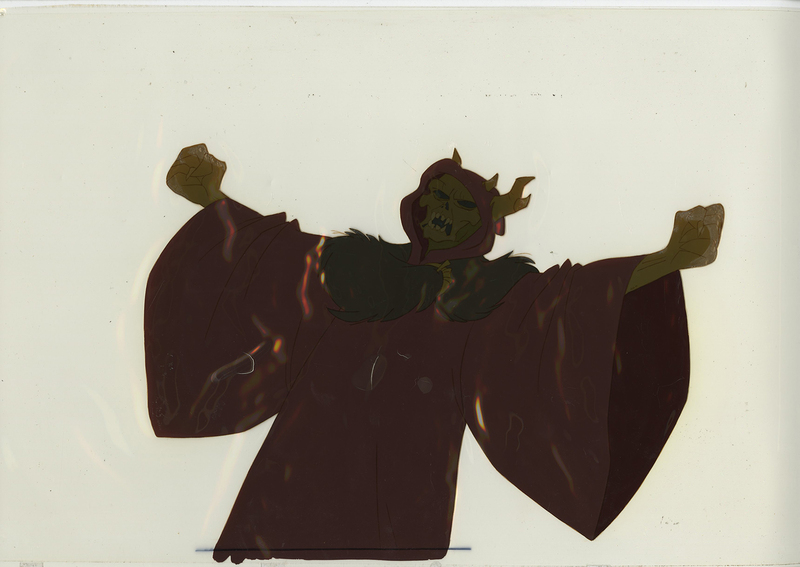 This is an original production cel from the Walt Disney Studios production of The Black Cauldron (1985). 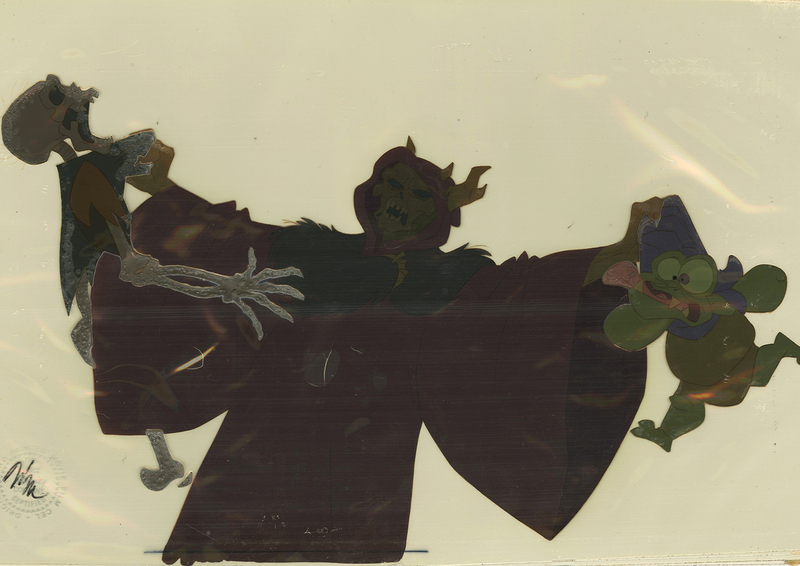 This production cel features The Horned King holding up Gurgi and one of the Cauldron born and was created at the studio and used during the production of the film. 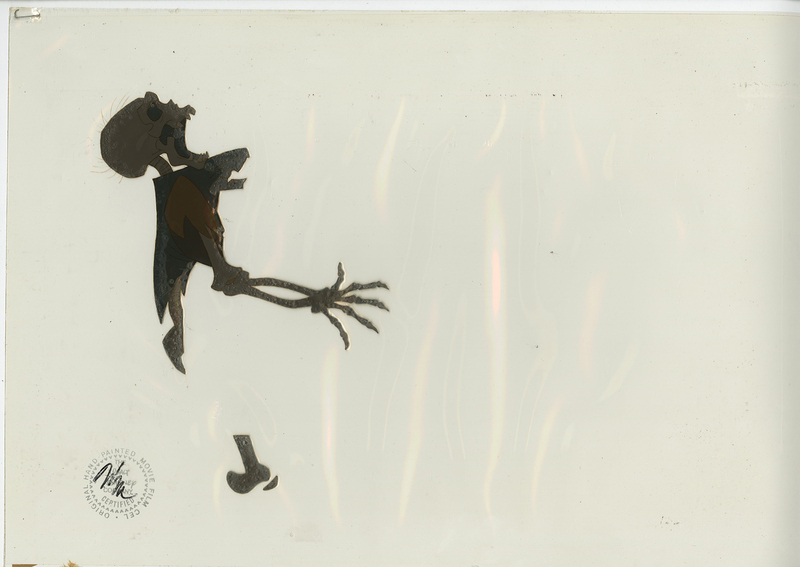 The overall measurements of the piece are 12.5" x 20" and the image itself measures 9" x 17". 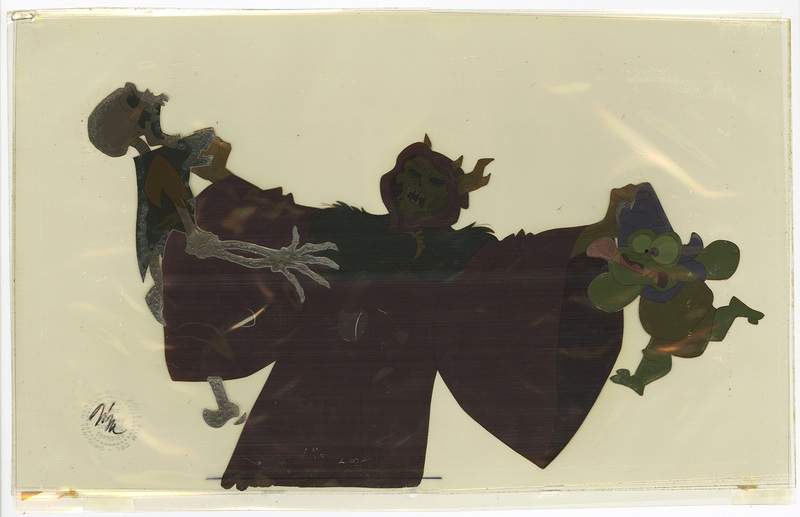 The characters are on three separate cel layers and all three layers were laminated by the studio's art program. 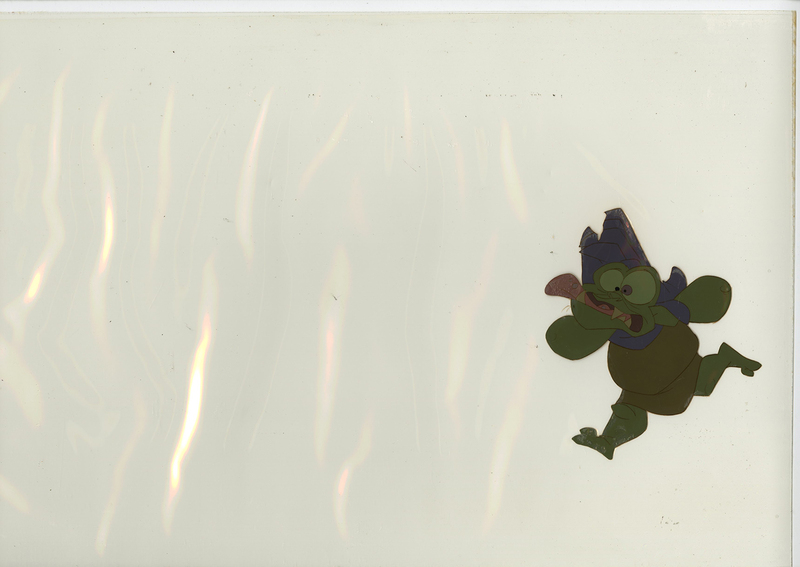 This lamination process has caused some damage to the paint, mostly seen in the cel layers for Gurgi and the Cauldron born.